This stunning collection of nursery rhymes features all of the favorites, each illustrated by a different artist. 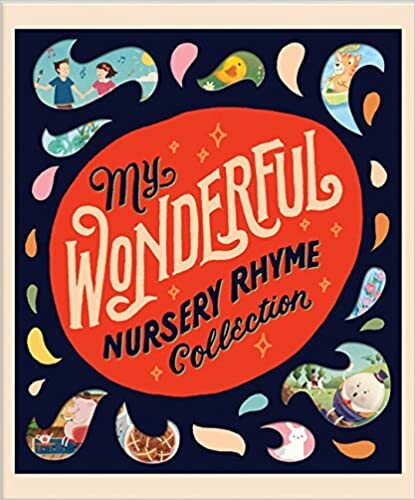 My Wonderful Nursery Rhyme Collection is the perfect gift for baby showers or birthdays. It includes a die-cut cover, ribbon bookmark, and 192-pages of classic rhymes paired with modern illustration. This nursery rhyme collection is sure to be a collectible passed through the generations. There are 192 pages in this hardcover book of almost 100 nursery rhymes. Starting with “song” nursery rhymes, the book then groups the others into categories of action, animal, games, counting, and lullabies. There is an instruction page for suggested actions to do and for games following each of those sections. It’s a large book (9.7 x 11.1) with equally large illustrations. Very pretty and nicely arranged. We will be continuing to read through it and finding our favorites. Who is flying high one moment, only to come down low the next? Who is quiet with anticipation of a loud celebration? 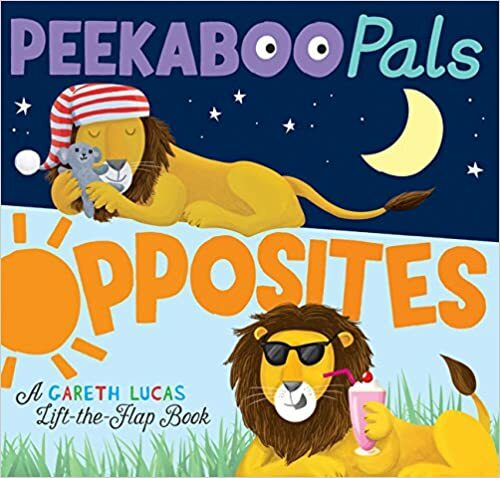 In Peekaboo Pals: Opposites, children will lift the flaps and be delighted by the amusing antics of the illustrated animals while learning about opposites. Colorful illustrations and flaps with hidden surprises underneath will keep youngsters engaged as they learn. Sturdy flap book for little ones with thicker pages than a paperback. In this lift-the-flap book, different kinds of animals act out the opposite presented. More than the typical up/down – there are a lot of opposites in this book. Humorous and fun, this book is well written and illustrated. I categorized this one with those books that you don’t mind reading over and over. Silver Dolphin provided these books to help facilitate the writing of an honest review. A positive review is not guaranteed, and all opinions are my own. No other compensation was received. Paper back, 96 pages, Zondervan. Adult coloring books have recently become very popular. And this is the nicest of them that I’ve seen. It must be that I like this particular collection of plants and animals. Most of the coloring scenes are a single page design. Some are a double page spread. The printing is on both sides of the page. No text. Quality paper and ink (no smudging when coloring). A relaxing and a creative outlet for adults. Ages 8 and up. Make a Face: a funny face! 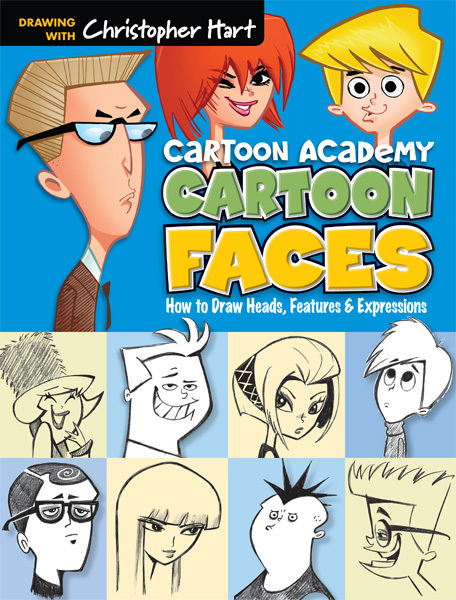 From the world’s best-selling author of how-to-draw books, Christopher Hart, comes this comprehensive and fun guide to drawing cartoon faces. From head shapes to features to hair styles, Chris shows in step-by-step detail how to create funny characters of all types, from mischievous schoolboys to glamorous gals. Cartoon Faces is a must-have for any artist who wants to create eye-catching human faces. Chris Hart has many published art books although Cartoon Faces is the first of his books that I’ve read/used. I enjoyed this review. The book is simplified, detailed, and fun. I received this book from Christopher Hart in exchange for an honest blog review. 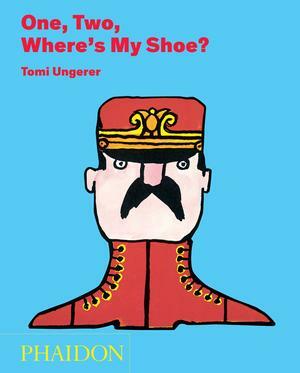 One, Two, Where’s My Shoe? Phaidon provided this complimentary copy for review purposes. No other compensation was received. All opinions are my own. Love the title. Sometimes many times it’s so true, even for adults. This book is both educating and entertaining. It’s the 22nd book in the Elephant & Piggy series. Comic-style book for early readers (ages 4-8). I love the simple illustrations (expressive). And the beautiful ending. (Sky Watching is a great way to see some of God’s awesome handiwork) I’d recommend this series for getting young readers hooked on books. A 5 star book. Disney-Hyperion provided this complimentary copy for review purposes. No other compensation was received. All opinions are my own. Design your own Eco friendly book. All MAY BOOKS are bound together by the all-famous, old school sewing machine. Not only is the thread fabulous for the environment, but the book becomes utterly indestructible. No pages ripping out, covers falling off… Believe us, we have tested notebooks. Great binding keeps you out of bad stitch(uations). After a few days of use, the canvas becomes worn-in like the perfect pair of jeans. Preview & Checkout. Voila – you are finished! Notes From Dawn received a May Book from May Designs in exchange for an honest review. A positive review is not guaranteed, and all opinions are my own. No other compensation was received. Designed and Handcrafted in the USA, ClipBook® was created to improve the function and aesthetics of the traditional clipboard. This product breathes new life in to the dying industry of bookbinding. With today’s digital age, bookbinding has become a lost art. ClipBook® repurposes the same process and materials that are used in making books, to create functional and stylish clipboards. 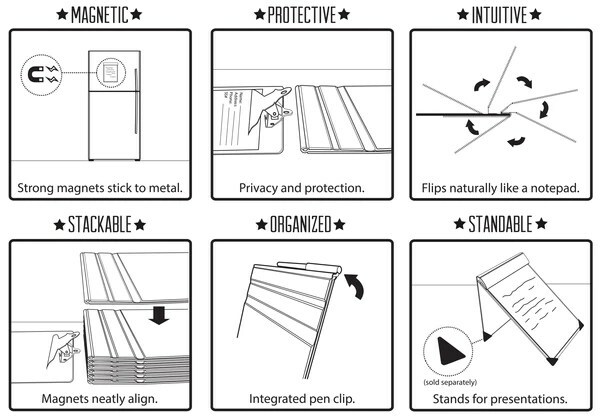 ClipBook® is protective, durable, ultra slim, and flips naturally like a notepad. It’s new, yet so familiar. A tremendous improvement from the traditional clipboard! Magnets replace the metal hinged clip. It has a cover for privacy and protection (as in neat , top-secret papers). Styled like a top bound notepad, the cover can fold back part way or it can roll completely over to the back. It can also stand as an easel. The Clipbook design works. Perfectly. Available in different book cloth covers. Rubber feet can be used for the four corners when using the Clipbook as an easel. Notes From Dawn received a Clipbook Magnetic Clipboard in exchange for an honest review. A positive review is not guaranteed, and all opinions are my own. No other compensation was received.